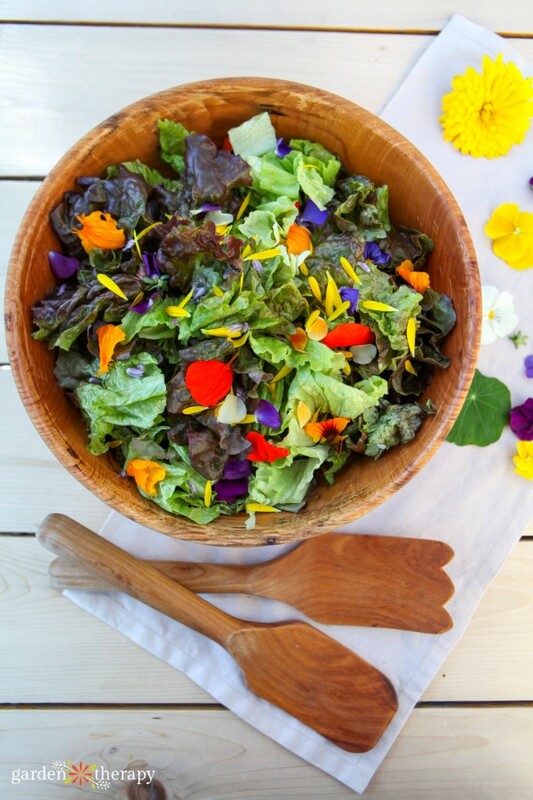 Dress up a salad with flowerfetti! What is flowerfetti, you ask? It’s confetti made with flower petals. Flowerfetti is popular in weddings as a biodegradable alternative to confetti. And what could be prettier than confetti made with colorful petals? 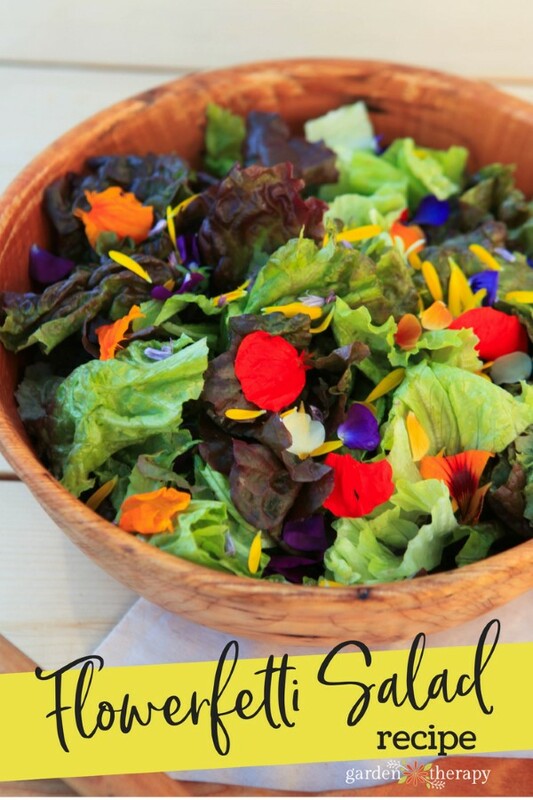 Recipes decorated with edible flowerfetti! Oh yeah. When I was a kid I used to be embarrassed to invite friends over to my house for dinner because my mother, an avid gardener, was known to put things on our food. Things like nasturtiums. Can you even imagine what my friends would say when they saw flowers on the salad? Well , as embarrassed as I was at the time, my friends actually enjoyed eating the nasturtiums and it opened my eyes to the possibilities of what edible flowers could be added to recipes. Fast forward to 2018 when I have a garden full of edible flowers from the Garden Therapy Edible Flowers Collection that are so productive that we have to eat flowers and salad pretty much every day. So my son may be a bit embarrassed, but when his friends come over for dinner you can bet there’ll be nasturtiums (plus chive blossoms, pea flowers, violas, pansies, zucchini blossoms, and calendula petals) on the salad. Harvest a section of edible flowers fresh from the garden and remove the petals. 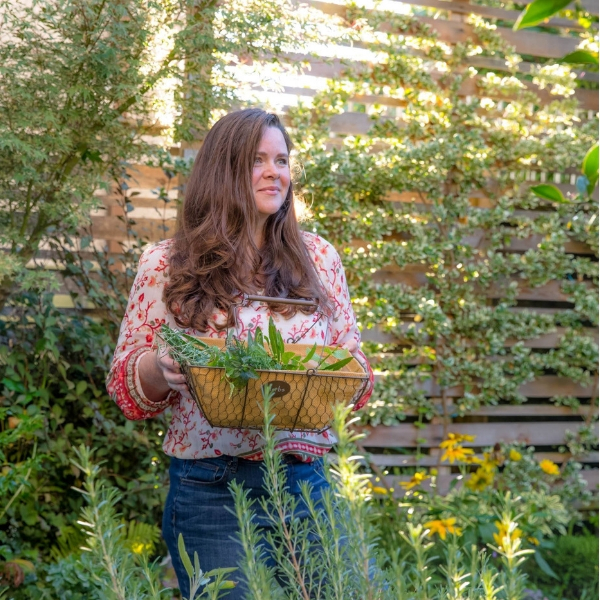 I don’t wash the flowers before eating them because they are grown in my garden organically and I have confidence that there is nothing unnatural on them that I am afraid of. Washing the petals makes them damp and they stick together or to themselves. If you have some soil, aphids, or other garden friends on the flowers, then remove the petals and put them into a small salad spinner. 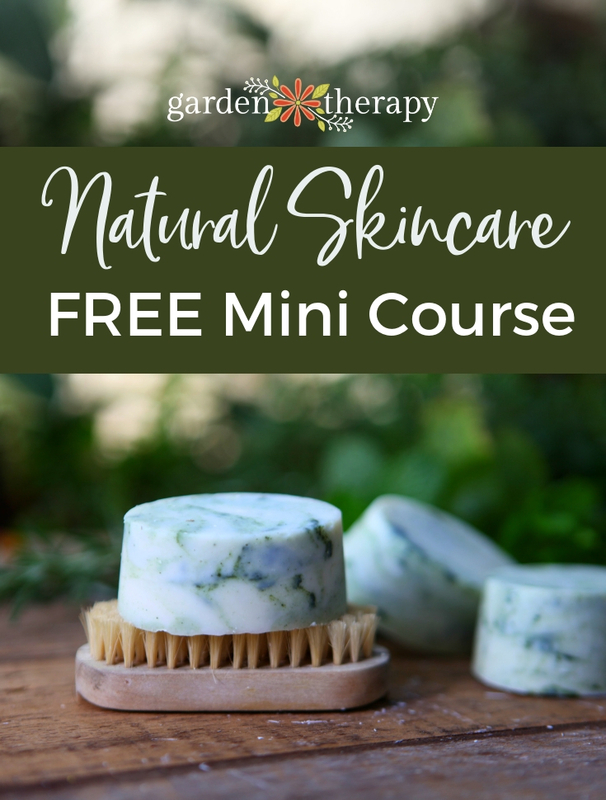 Add the top to the spinner and shake it around a few times to gently toss the petals and encourage anything small to fall off through the colander in the spinner. 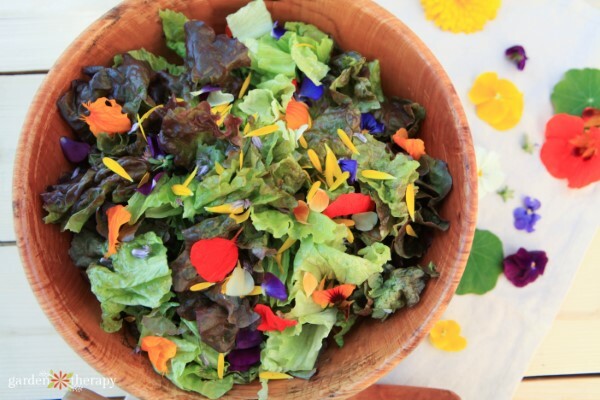 Sprinkle the petals over a salad to add color AND flavor! 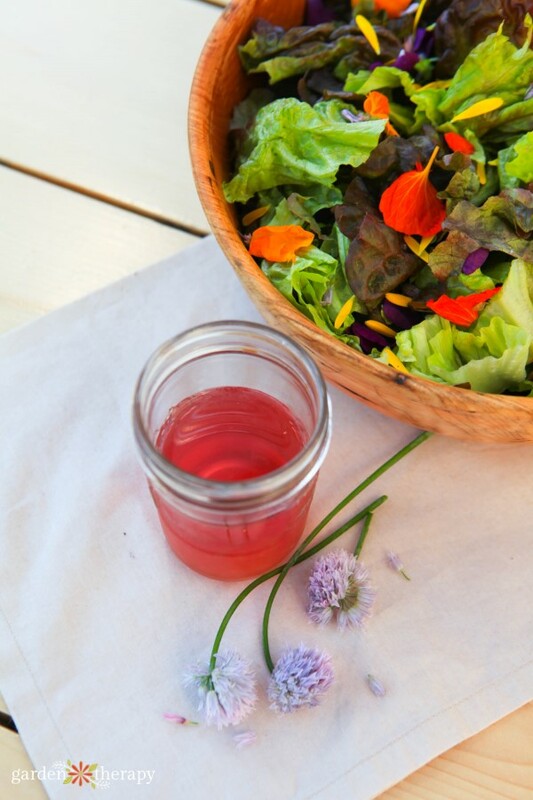 Bonus Points – dress the salad with edible flowers too by following this chive blossom vinegar recipe! My son will be traumatized for life. I enjoy cooking with edible flowers and am so very happy to find this one ! Thank you !